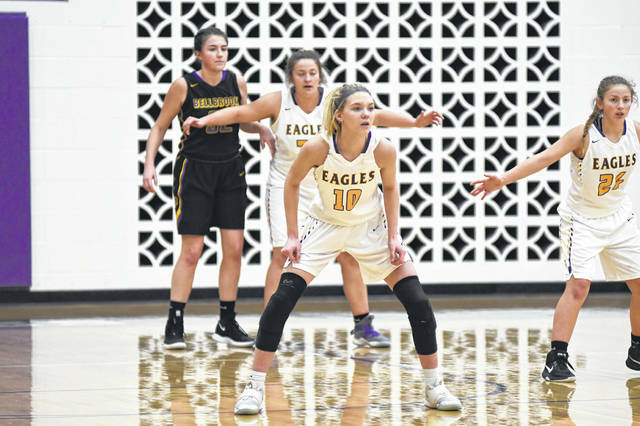 PREBLE COUNTY — With the regular season coming to a close early next week for the county’s five high school girls basketball teams, their focus now turns to the postseason. Sectional tournaments begin this week at various sites throughout the area. The tournament draw was held Sunday, Feb. 3. In Division II, in the Tecumseh II lower bracket, Eaton (6-13) earned the No. 8 seed and will meet No. 6 Ponitz (14-7) on Saturday, Feb. 16 at 2 p.m. The winner will play either No. 5 Greenville (8-10) or No. 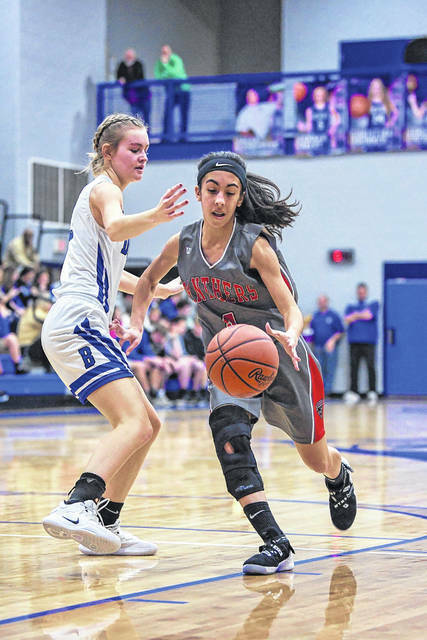 7 Bellefontaine (9-11) in the second round on Wednesday, Feb. 20 at 7:30 p.m. The district semifinal (sectional final) is scheduled for Monday, Feb. 25 at 6 p.m. Top-seeded Carroll (18-1), No. 13 Meadowdale (3-10) and No. 14 Belmont (1-11) are in the upper bracket. The games will be played at Springfield High School due to flooding at Tecumseh. 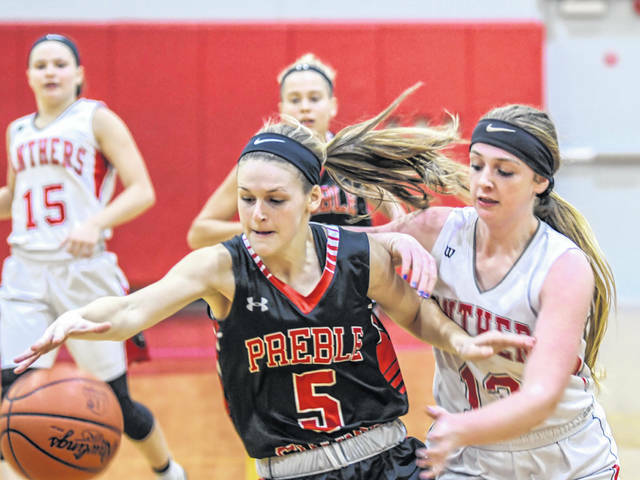 In Division III, in the Covington 1 lower bracket, Preble Shawnee (12-5) earned the No. 8 seed and will meet No. 14 Indian Lake (9-10) in the first round on Saturday, Feb. 16 at 2 p.m. The winner will take on either No. 5 Miami East (14-6) or No. 15 Carlisle (8-12) on Wednesday, Feb. 20 at 7:30 p.m. The district semifinal is scheduled for Monday, Feb. 25 at 5:30. No. 2 West Liberty-Salem (16-3), No. 18 Brookville (2-18) and No. 19 Northridge (3-18) are in the upper bracket. In Covington III lower bracket, National Trail (11-9) will play No. 12 Benjamin Logan (13-8) in the first round on Wednesday, Feb. 13 at 7:30 p.m. The winner will meet No. 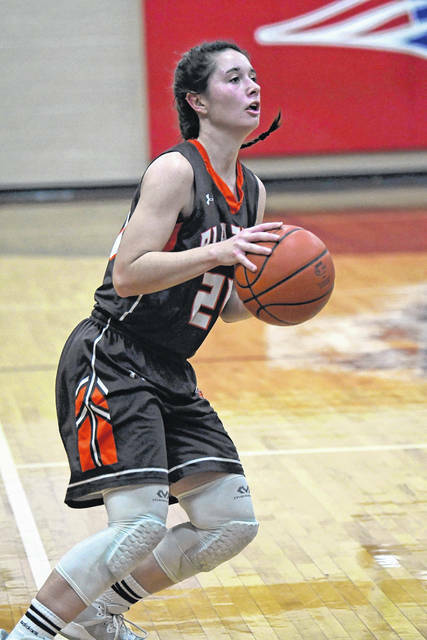 1 seed Waynesville (18-0) in the second round on Tuesday, Feb. 19 at 7:30 p.m. The district semifinal is scheduled for Monday, Feb. 25 at 8:30 p.m. No. 7 Arcanum (14-6), No. 6 Greeneview (15-4) and No. 13 Bethel (10-9) are in the upper bracket. In Division IV, Tri-County North (1-17), the No. 13 seed, is in the Brookville 1 upper bracket and will battle No. 2 Covington (15-3) on Saturday, Feb. 16 at 11 a.m. The winner will meet No. 14 Jefferson (0-15) on Wednesday, Feb. 20 at 6 p.m. 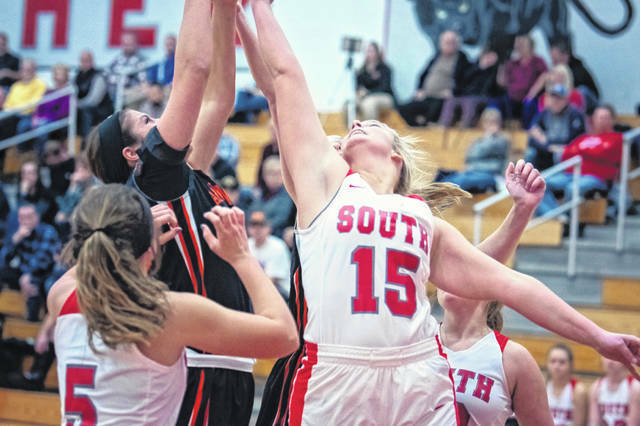 In the Brookville 1 lower bracket, Twin Valley South (7-12) is the No. 10 seed and will play No. 4 Troy Christian (15-3) on Saturday, Feb. 16 at 12:30 p.m. The winner will play either No. 3 Franklin-Monroe (14-5) or No. 11 Dayton Christian (7-11) on Wednesday, Feb. 20 at 7:30 p.m. The district semifinal will be played on Wednesday, Feb. 27 at 7:30 p.m.
Pre-sale tickets can be purchased for $6 at each school. Fans can contact their local school for ticket information.